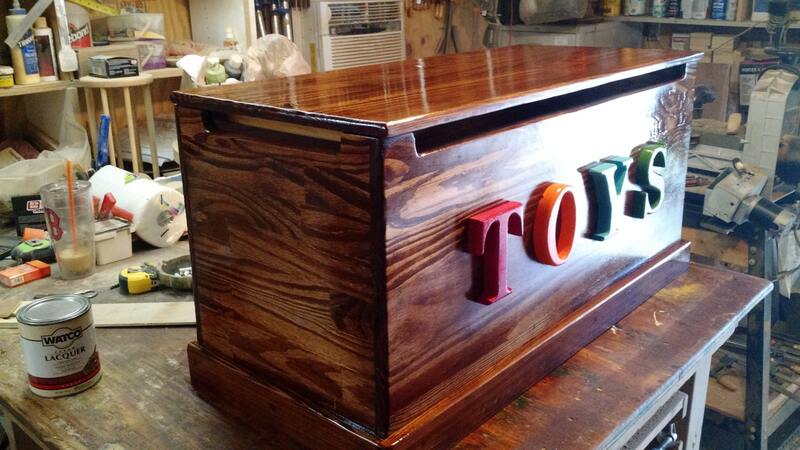 This custom Toy Box is sturdily constructed from yellow pine wood and finished with a child safe finish. 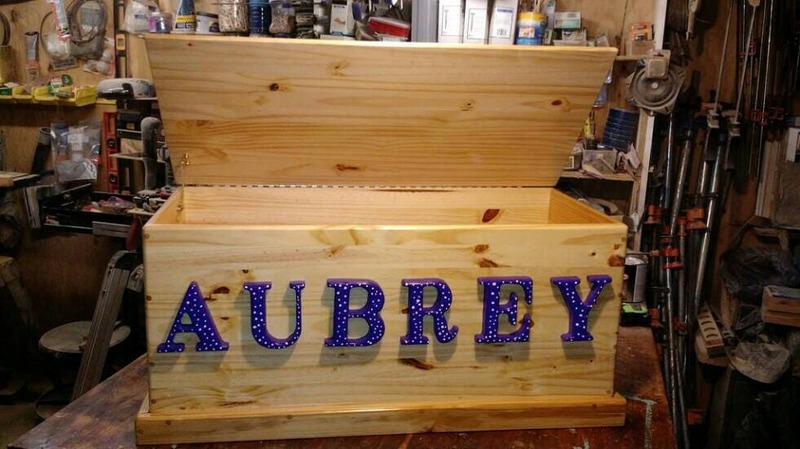 Overall dimensions are: 38" Long by 20" Wide by 19" High. Anti-slam cut-outs are part of the design to alleviate children's fingers getting caught when the cover is lowered. 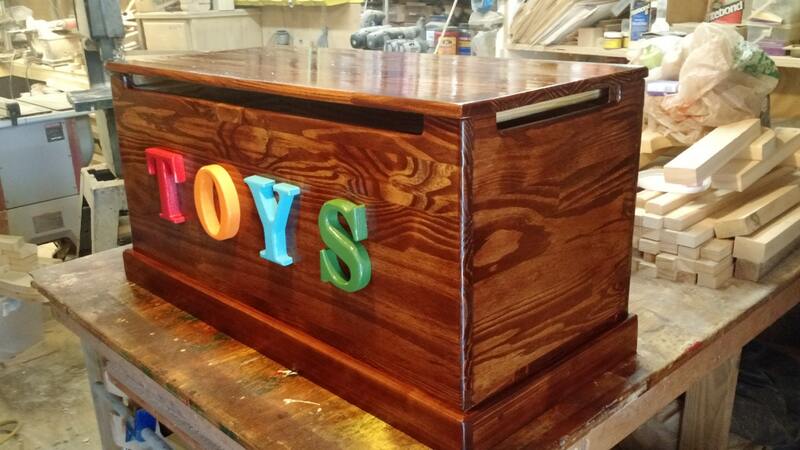 The Toy Box is totally customizeable to your liking; whether you want child's first or last name, or just "Toys", or whatever would make this special to your little one - built for generations of enjoyment in mind. 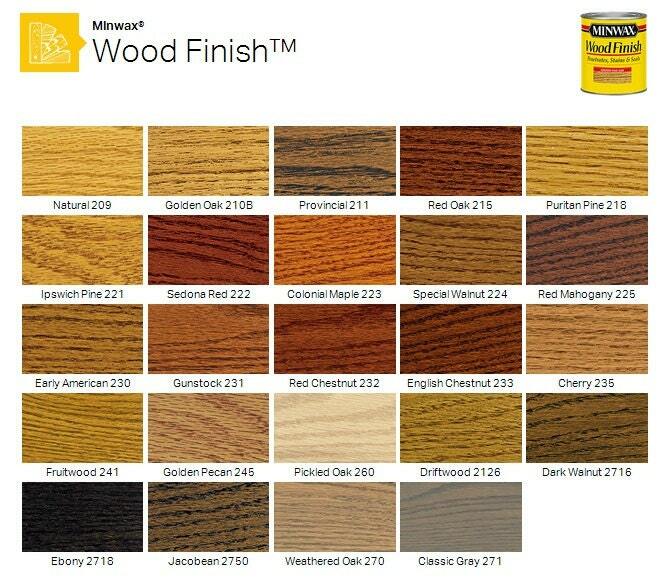 Your color scheme for lettering and finish color is completely up to you. Teach your little ones the importance of cleaning up after themselves and staying organized - good life lessons that will follow them wherever they go. 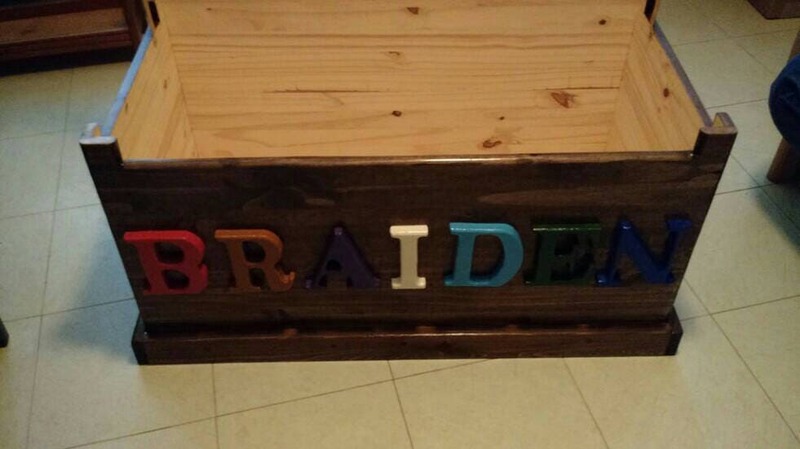 Call us with any questions or to place a custom order - (941) 830-2338 or email: woodnookllc56 [!at] gmail.com. 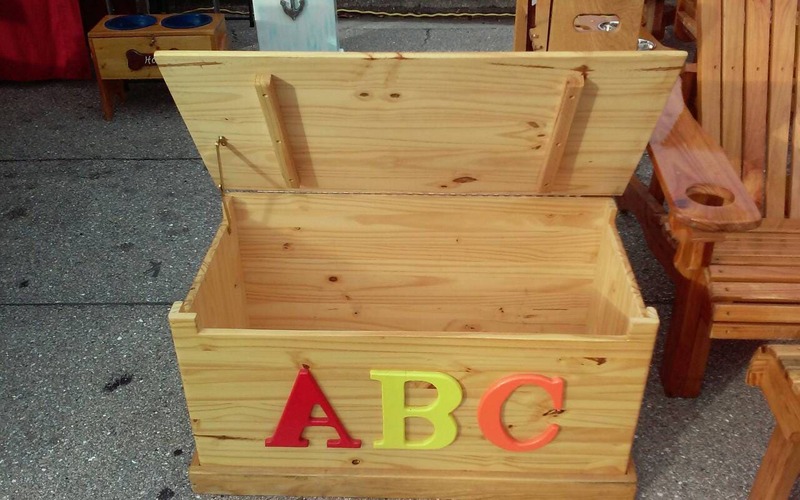 The Wood Nook prides itself on building one product at a time with American grown wood and everything is hand-crafted in our family wood shop with care and quality.